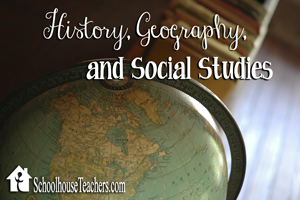 For the past couple of weeks, I have had the pleasure of reviewing the online homeschooling resource site called SchoolhouseTeachers.com. 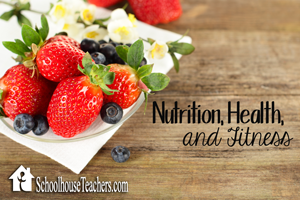 This website offers almost 200 courses from preschool to 12th grade, along with many resources for moms and teachers. They offer all this through a Yearly Membership. 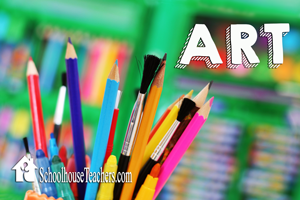 I have been homeschooling for six years now and I honestly have never looked into SchoolhouseTeachers.com. My first reaction when logging on to check it out was "Wow!" I was immediately impressed and excited with all the courses they offer. 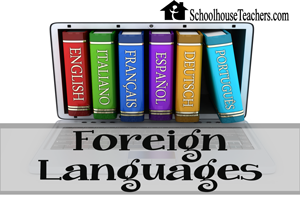 They have courses that I have always wanted to teach my son but have not had the resources to do so. 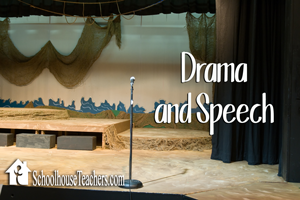 I have already printed the course list so I can see all that is available at my son's grade level and age. 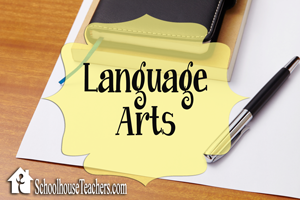 I am so excited to use this resource for our 2016 homeschooling year! 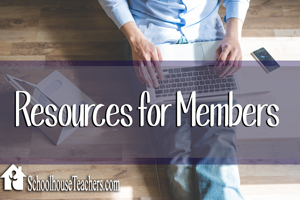 After logging on and getting familiar with the site, I went straight to the Resources for Members link. I spent quite a few days looking at their planners. 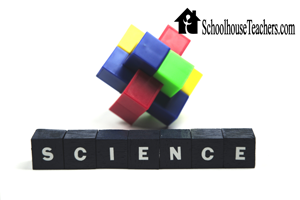 I love structure to our day and these are wonderful resources for getting your homeschool organized. They have a planner for organizing all things homeschooling, a Special Learning Planner for the mom who has a child with special needs and needs that extra help, and planners for primary, intermediate, and high school students. 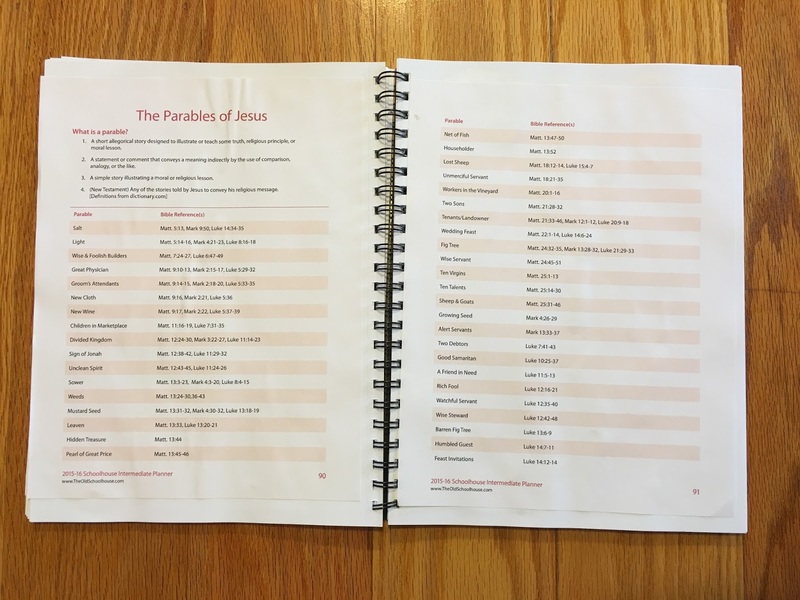 The intermediate student planner is quite impressive with charts and lists available that help the student to learn how to write a good story, learn common Latin and Greek root words, and read the bible chronologically. The planner also list states and capital, continents, bodies of water, and much, much more. 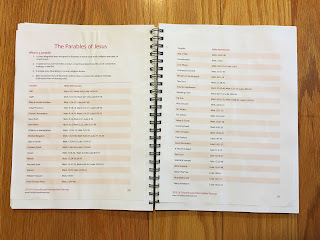 It is like having a whole bunch of resources available all at the same time with this planner. You can print these charts out as you need them or print the whole planner out and put it in a binder for your child. I have already printed out quite a few pages for my son to use in his history notebook. These planners are valued at over $125 but are included in your Yearly Membership at no extra charge. After checking out the course list, the very first thing my son asked to do was start the typing course so he can learn to type correctly on the computer. He has spent a few days on it learning how to navigate the website and has downloaded some material to print off for the typing class. This typing course, and many of the other courses, offer instructional videos which are great for a visual learner! The website is very user friendly and I have had no problems navigating through the different areas and courses available. They also have a section for homeschooling moms called Encouragement where you can find encouraging articles to help you when you are feeling frustrated on this homeschooling adventure. They also have all the back issues of the The Old Schoolhouse magazine available and over thirty eBooks that are available to you throughout the twelve month membership. I can honestly say that I am super excited to be able to do many of these courses with my son this year. I have already circled more than we can possibly get done!. We want to dive into a filmmaking course, Money 101, Photography, Wildlife Adventures, Drawing with Realism, and many, many more that we are so excited about! Shhhh, don't tell anyone but half of these courses I want to take myself! 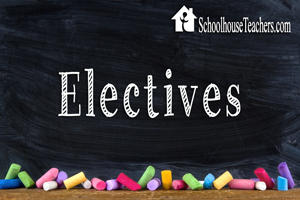 You can become a member at SchoolhouseTeachers.com for $12.95 a month or save 10% on a Yearly Membership for $139. You can use this Yearly Membership for all the students in your household and the website is available 24/7. Everything on the website is included in the cost of your membership and there are no extra hidden fees. You may cancel it at anytime, and from now until January 31, 2016 you can receive a 50% discount on the Yearly Membership by signing up and entering the code CREWFOLLOWER. This is an excellent discount and I highly recommend you take advantage of it. I think this is going to be a great resource for our homeschool, and the price is more than reasonable, especially with the discount offered until January 31st. 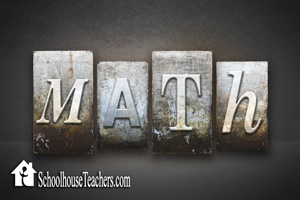 I really like SchoolhouseTeachers.com! I'm currently using Health 101 with Emma, just printed off Music Theory for both kiddos, and plan to start Bennett on their typing course soon (maybe even Emma for a refresher). They have so much more I want to do as well: Tinker Club, Home Ec, Apologetics, guitar, photography.... Hoping to add more in soon! I am loving it too so far! My only complaint is that I just don't have enough time to do all I want to do with Evan.